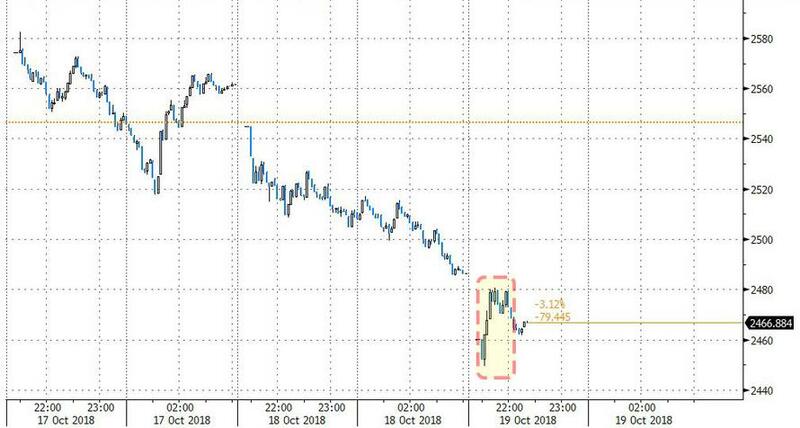 This morning, when we reported that the latest flood of margin calls, resulting from $600 billion in shares pledged as collateral for loans and representing a whopping 11% of China's market cap, sent the Shanghai Composite tumbling 3% to the lowest level since November 2014, we noted that local government efforts to shore up confidence in smaller companies had, quite obviously, failed to boost sentiment... or stem the selling. In other words, the central bank's "got this." And just to make sure the "all clear" message is heard loud and clear, also this morning the China Securities Regulatory Commission (CSRC) encouraged various funds backed by local government to help ease pressure on listed companies from share-pledge risks, in other words, the regulator itself told funds to stop the margin calls which - as discussed earlier - are now spiraling out of control as lower prices force more liquidations, resulting in even lower prices, and so on. The CSRC will also explore measures to help private firms, especially non-state-owned listed companies, to issue bonds; provide support to small- and mid-sized companies to issue high yield bonds and the regulator will also enhance a mechanism for share buybacks. Finally, the regulator would continue support for reforms and opening up, as well as encourage foreign asset management companies to set up offices in China (although if the market keeps crashing, who will bother?). Still, despite the pep talk by both the regulator and the central bank, just minutes later the hard data came in and with GDP missing again, investors were disappointed; The economic slowdown also means that despite the "nudging" by the regulator, funds will be even more aggressive in demanding collateral, leading to even more margin calls after the Shanghai Composite and other key indexes broke decisively below the September lows. 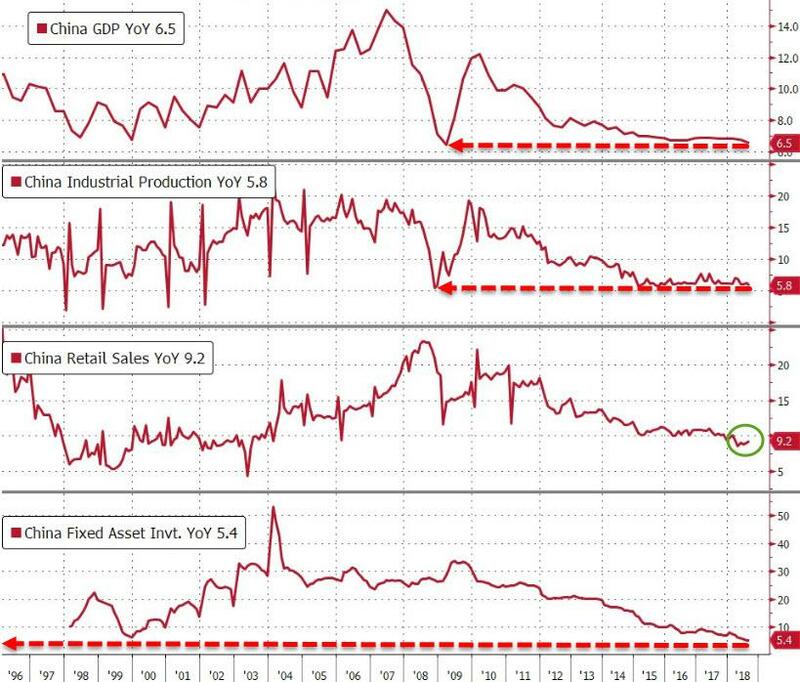 Meanwhile, instead of just talking the talk, China's authorities will need to walk the walk by announcing further concrete stimulus measures, otherwise as Bloomberg notes, "all they have done is talk the market up to provide investors with more attractive exit levels." So what happened next? Well, as shown in the chart below, the Shanghai Composite attempted to stage a modest breakout after opening sharply lower, but that bounce fizzled quickly and after bouncing in the aftermath of the PBOC and CSRC jawboning, stocks resumed their slide when the GDP print hit, and were trading down 0.8% at last check, well below the key 2,500 support level, wiping out 4 years of gains. Unless Beijing's "National Team" steps in next with some truly aggressive buying in the open market, most likely in the last hour of trading - which however will only provide even more selling opportunities to big holders - today's global rout may accelerate tomorrow now that China is on the verge of losing control of both its economy and its stock market.